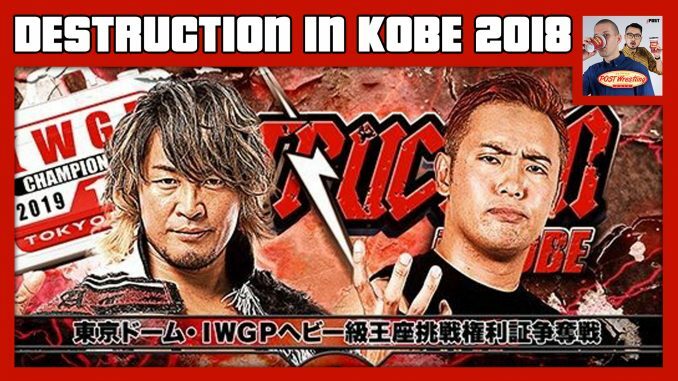 It’s the NJPW Destruction in Kobe POST Show with John Pollock & Wai Ting reviewing the entire card from Kobe. The show featured the latest singles match between Hiroshi Tanahashi and Kazuchika Okada for control of the briefcase to challenge for the IWGP heavyweight title at Wrestle Kingdom. In addition, the show featured a major angle shot after the match to set up future matches for Tanahashi and Okada with Gedo aligning himself with Jay White. The four-man tournament for the vacant IWGP junior heavyweight title began with KUSHIDA taking on Bushi, several future matches set up on the undercard, and a great opener between Yota Tsuji and Yuya Uemura. Plus, your Café feedback to the show from the POST Wrestling Forum.